The Congress, which is trying to censor the Supreme Court Chief Justice Deepak Mishra, as opposed to his own party. 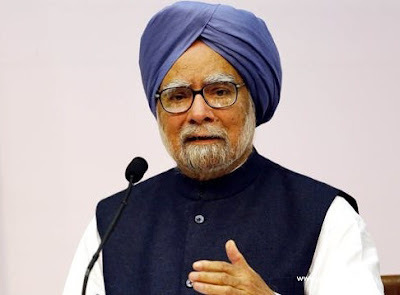 The Congress party has announced that former Prime Minister Manmohan Singh has refused to sign a notice to the Chief Justice. Congress Party President Rahul Gandhi's decision is that some party leaders are opposed to it. Four senior leaders have been opposed to giving notice to Justice Deepak Mishra. On the other hand, the TMSC also reported that the CJI was behind the blame. Senior Opposition Leader Kapil Sibal has said that other Opposition parties, including Congress, have been given notice to Venkaiah, in the wake of Justice Deepak Mishra. Speaking on the occasion, Sibal said, "Manmohan is not signing this notice because he has never been a partner since he has served as the Prime Minister of the past. But it is not believed that Manmohan does not sign it. Sibal said 64 of the seven Rajya Sabha members of seven parties have been signed on the charge of the main judge, including Congress, NCP, CPM, CPI, SP, and BSP. The Supreme Court on Thursday upheld the petitions filed by the CBI to file an independent inquiry into the death of the CBI judge. It was noteworthy that the motion of the martyred Chief Justice was given a censure notice. On January 12 last year, four Supreme Court judges set up a media conference and the allegations made by the Chief Justice of India, Justice Deepak Mishra, have been revoked. The Opposition tried to introduce a censure motion against him.